Place rice, water and sea salt in a heavy pot, cover, and bring to a boil. Reduce the flame to medium-low, and simmer for 1 hour. Remove, and place in a serving bowl. Mix the black soybeans in with the hot rice. 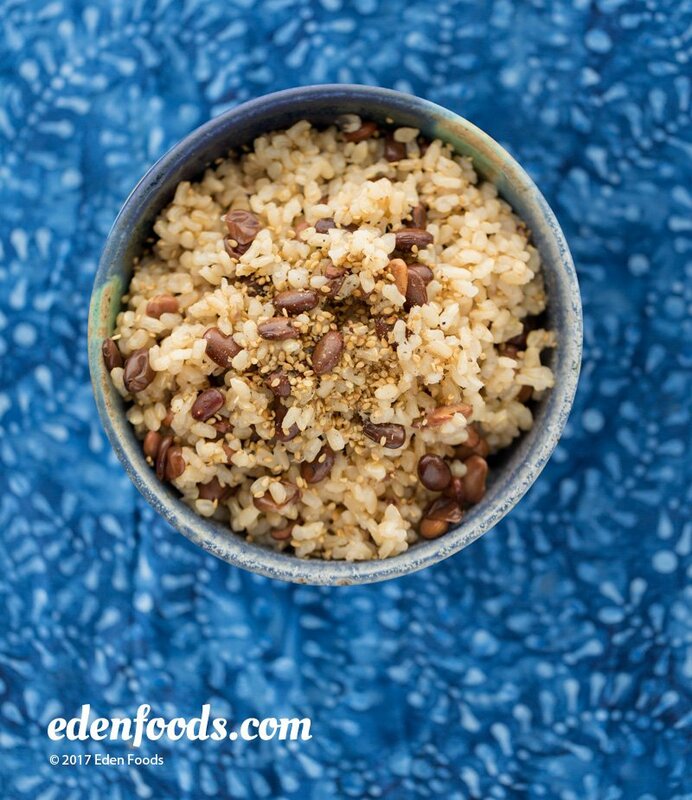 Sprinkle a little Eden Seaweed Gomasio or Eden Shake over each serving.